Father’s Day is less than a week away and that has us thinking about dads and how to include them in your wedding. There are traditional options, but don’t be afraid to get a bit more creative, too. 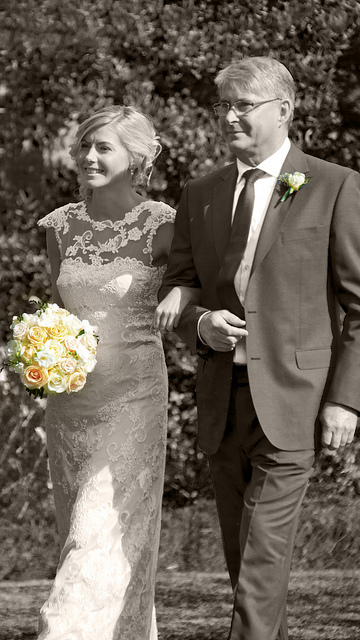 The traditional choice is to have your dad walk you down the aisle and give you away. This is a ceremonial way of him giving your hand in marriage to your fiance, showing he approves of the union. Another popular way of including your dad is through a father-daughter dance. This is done during the reception, usually after the first dance. It offers you a special moment together and is often a highly emotional event for everyone!